Warm weather is approaching, and at our house we cannot get enough of the outdoors. With all the running around in the backyard, we needed a new back porch doormat. 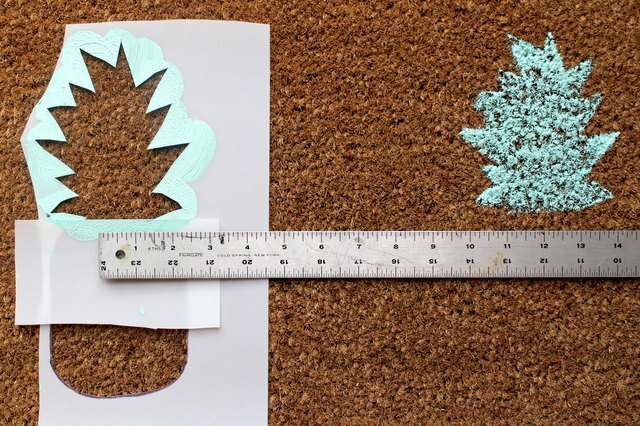 This doormat is loads of fun to make and our free printable stencil makes it incredibly easy. Use the colors shown in the tutorial below, or get creative with other bright colors (yellow, pink, and orange would be fun, too!). 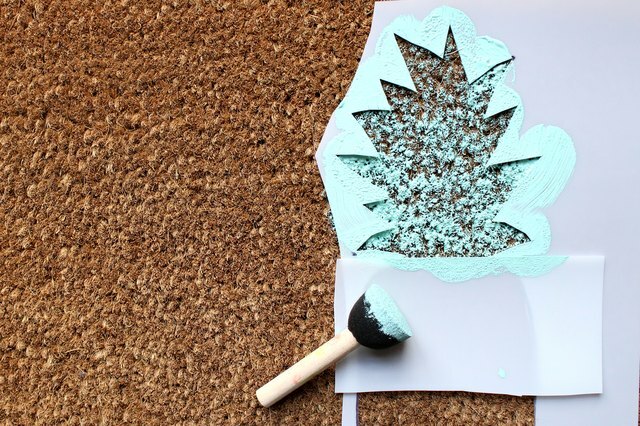 And this DIY project is family friendly — kids can join in on the fun by helping dab paint onto the stencils. Stencil paper is made of a thin plastic and can be wiped off easily between paint coats. It can be found at local craft supply stores. Print the printable on a standard 8 1/2" x 11" sheet of paper. Then lay one sheet of stencil paper over the printable. 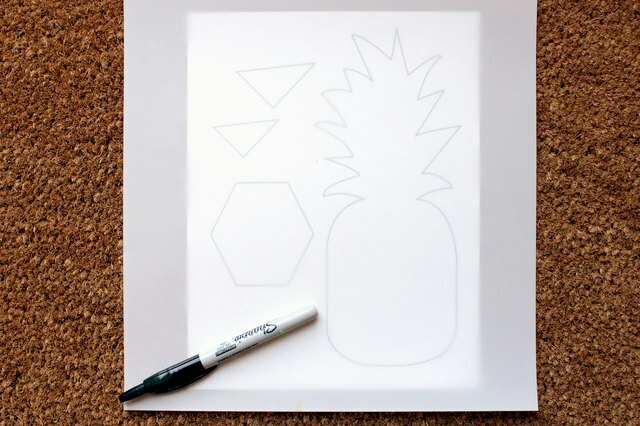 Using a permanent marker, trace each shape (pineapple, triangles, and hexagon) onto stencil paper. Allow a minute to dry. 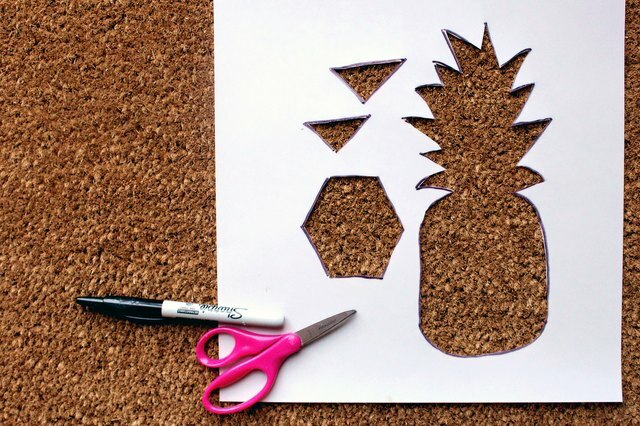 Make a small slit in the inside of the pineapple and each shape, then use scissors to easily cut out the stencil shapes. Start painting! 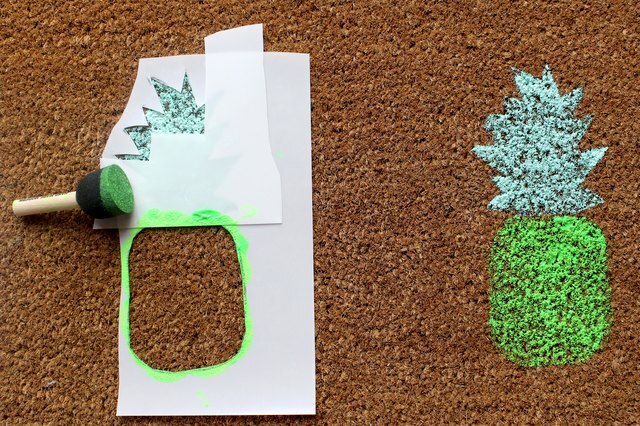 Starting with your pineapple topper, dab craft paint directly down onto the doormat. Apply paint liberally as some will soak down into bristles. Check the bottom of the stencil between coats of paint and wipe off the stencil periodically with a damp towel. 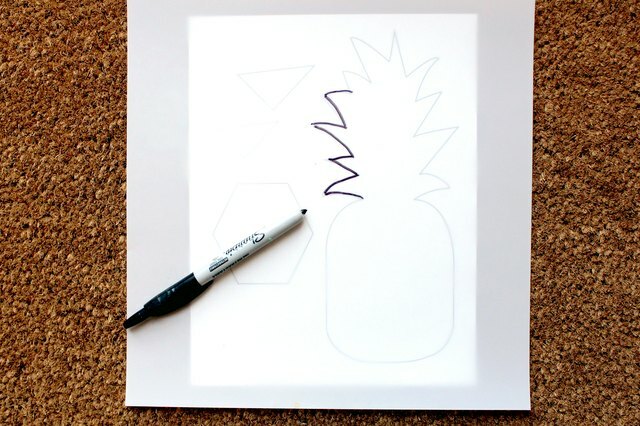 If you are planning a pattern with your pineapples, measure the spacing between the tops to ensure even spacing. I spaced these approximately 12 inches apart. Wait at least 30 minutes between painting the top and bottom of pineapples. Rinse and dry the sponge brush between different colors of paint. Apply pineapple base color liberally. Make sure green paint is dry before painting the gold (you can pre-test if it is dry using your finger or a towel). 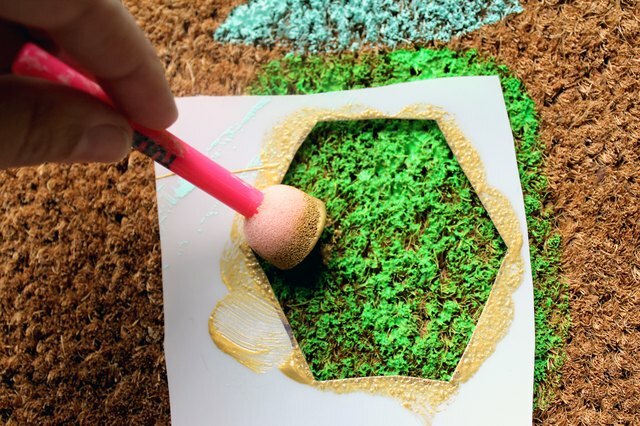 Then, paint gold paint onto the green base using a hexagon stencil. Add some fun triangles in different colors to the open space using the triangle stencils. If you plan to use the doormat outdoors, I suggest spraying with a clear waterproof spray paint to seal the color. And voila! A one-of-a-kind doormat all your neighbors will admire. 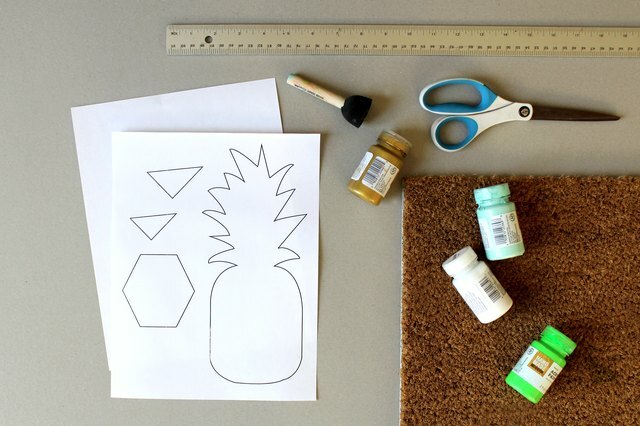 This simple project can be finished in under a day, and at under $25 for supplies this DIY pineapple doormat is budget friendly, too!